Michelle and I took advantage of the bank holiday to visit Sydney and the Hunter Valley for five days. It definitely wasn't long enough! 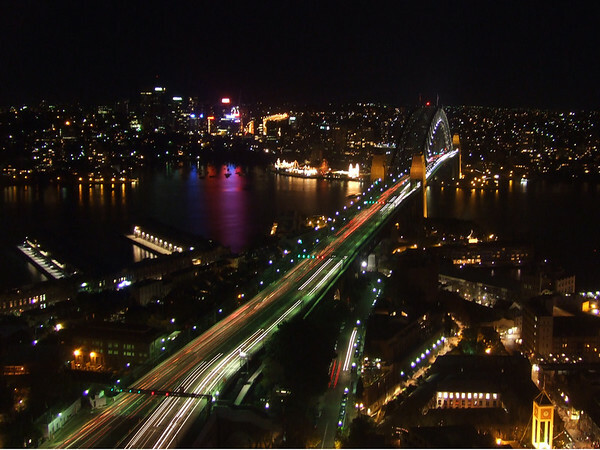 A night view of Sydney Harbour Bridge from the swanky Horizon Bar at the Shangri-La.